A multitude of evilly inclined people can stir up strife, just as a crowd of tsetse flies can make a noise like hailstorm, in desperate bid to thwart the bliss and quiet of the most peaceful household. When the target of their plot are two upstanding bankers of the Zenith bank, Peter Amangbo, the Managing Director and his Deputy, Adaora Umeoji, the situation calls for tact and unprecedented caution. As you read, mischief makers are at their hideous best; their plot this time revolves around the relationship between Peter and Adaora. Certain faceless people and rabble-rousers recently went to town with the rumour that there is no love lost between them. They are claiming that the two Zenith Bank head honchos are dangerously poised to tear at each other like loaded guns. Peter, according to mischief makers, is not one of those people who, having gained power, settled down to enjoy it. He is allegedly paranoid of been undermined and in love with upheavals but Peter’s apologists dismiss the claims as the rant of mischievous individuals seeking to create a rift where there is none. 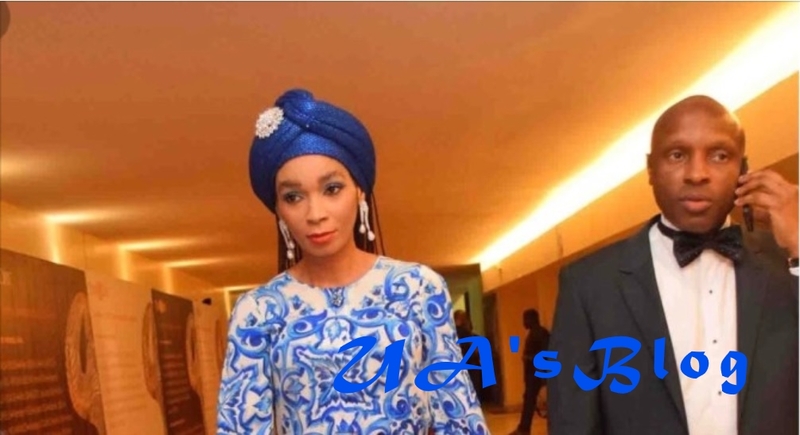 Trouble reportedly started when Adaora’s loyalists allegedly believed that she has been cast in a bind and turned into ordinary ceremonial figurehead whose chief duties has been to rubber-stamp the MD’s decisions while carrying out his will, albeit grudgingly. Funnily enough, life is a drag to many deputy bank chiefs, in Nigeria. They are the negligible indices in the scheme of things. The quiet characters whose industry and worth are forever smothered in the raucous din of over-celebrated and publicity-hungry superiors. Thus the title: Deputy Managing Director (DMD), rankles many deputy bank chiefs, like rusty handcuffs on the wrists of severely misunderstood and underappreciated patriots. It’s really sad. No wonder some people would say it’s better to be a branch manager than to be the DMD of a bank. But as news of their alleged grudge-fest spreads like wild fire, sources close to the duo have dismissed the rumour and what they term malicious speculations, claiming they are figments of the imagination of agents of mischief desperately trying to sully the reputation of the Zenith bank head honchos and impair the bond of their friendship. However, the fear of Adaora is the beginning of wisdom. Staff of the bank tremble and kowtow before her, while the customers catch cold whenever she sneezes. She is however not one to brook any nonsense from any quarters. Little wonder, many worship the ground she treads while praying and hoping that they don’t incur her wrath.